This page is for productivity tools and services related to time management, information overload and Email overload. Sometimes, "old school" is the way to go. I'm talking about good old paper and pencil, calendars, notepads, and organizer systems. I use a notebook for collecting my meeting notes, and then enter into my my various task management and calendar systems. I also use a wall calendar for quick visual tracking major events such as vacations, company holidays, and major project milestones. Sometimes, paper and pens are the way to go! Franklin Covey has been around for decades and is a great resource for a variety of productivity related tools. They have hundreds of planners, notepads, writing instruments, and binders. They also have a huge selection of productivity books, technology tools, and software solutions. They are one of the largest sources of productivity tools and system. At-a-glance is another company with a huge selection of planner, organizers, calendars, and journals, including the very popular DayRunner series. They are a bit simpler and a bit less expensive then some other organizer brands, but they are very simple and functional systems. 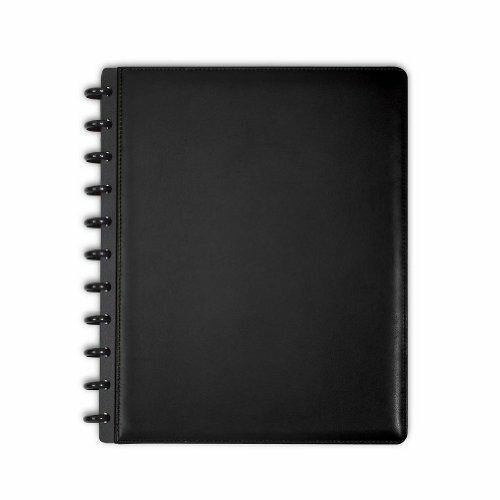 I used one of their 8 x 10 refillable planners for many years before I made the switch to managing most of my activities electronically, but it is still a great, classic system worth investigating. DayTimer is another company that offers a set of popular organizational and time management products, similar to At-a-Glance, but with a few different offerings. They are actually part of the same company that owns At-A-Glance, and Dayrunner products, but are a separate brand. Check them out as well if you are looking for a simple, paper-based planner, memo pad, or calendar. I currently use a Levenger Circa notebook for note taking. What I love about this system is you can easily add pages, move pages around, or remove pages along the "perforations". There are dozens of ways you can set-up your notebook using dividers, tabs, and colors. I made the switch to Circas a few years back and haven't found anything yet that is better. I'm not a huge fan of spending a huge amount of time researching and testing all the latest productivity technology tools that are on the market. There are just so many out there, and more seem to arrive and a few disappear each month. You can spend all your time trying out tools or futzing with technology, instead of just keeping things simple. But here are a few that I use that fix a few gaps between the paper world and the technology world that are simple, cheap, and easy-to-use. NordVPN is one of the top-rated VPN services available, and is readily available not only through the US, but throughout much of the world as well. If you ever surf the web on a public network, you need a VPN. Think of VPN as your own secure and private gateway to the Internet. When enabled, VPN sends your Internet traffic through an encrypted virtual tunnel and cloaks your IP address. Don’t have your personal data, credit cards, or passwords stolen - protect them with NordVPN! MyFax allows you to send and receive faxes without needing a dedicated fax machine or phone number. I still encounter a surprisingly large number of companies that utilize Faxes for document transmission, and MyFax allows you to easily support this need. It creates a "virtual fax machine" through your Email for both sending and receiving faxes with your own personal fax number. Very neat little application that still comes in handy. The Neat Company is another application that I use that allows me to turn "paper" into "electronic documents". If you have a business, or deal with a large number of receipts, or any type of paper, this is a very handy application. It also integrates with other systems such as MailChimp and QuickBooks (both of which I use), and allows me to easily get rid of the paper clutter and utilize the electronic capabilities of these systems. I use Evernote to manage my personal and professional list of projects and "to dos". Its a simple and flexible web-based system that syncs to my iphone. It also has handy "add-ins" for browsers, and I even integrated an iPhone dictation application with evernote! A very popular system that can help you organize your digital (and non-digital) life. 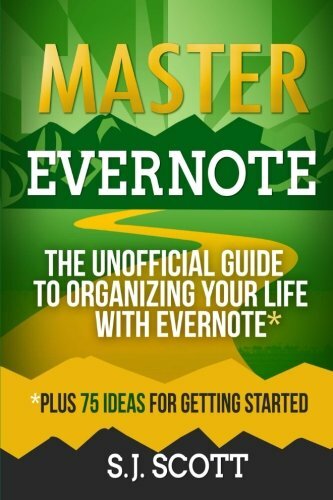 If you want to really learn how to use Evernote, I highly recommend that you buy Master Evernote by S.J. Scott. It provides a great overview of Evernote and is a great resource to help get the most from a very powerful tool. I'm a big fan of "just in time learning", where you learn things just when you need them. These are a few resources that really support this learning approach and can help you get quick and comprehensive training on a large variety of business, technology, and productivity related topics. Lynda.com is a fantastic training resource that I used in order to learn how to build and configure my site. But they also have literally hundreds of topics that they cover. Want to learn about business financial ratios? How to use Gmail? Learn how to use that new Photoshop software you just purchased? You have it all here! A fantastic resource at a very affordable price and highly recommended. In full disclosure, some of the products listed above contain “affiliate links", which means I may receive (a fairly small) commission if you make a purchase through the link, but there is no additional cost to you. Please consider doing so as a way to help support this site and the work that I do.